Christkindlesmarkt ... aka Christmas Markets, something that Germany has absolutely perfected. 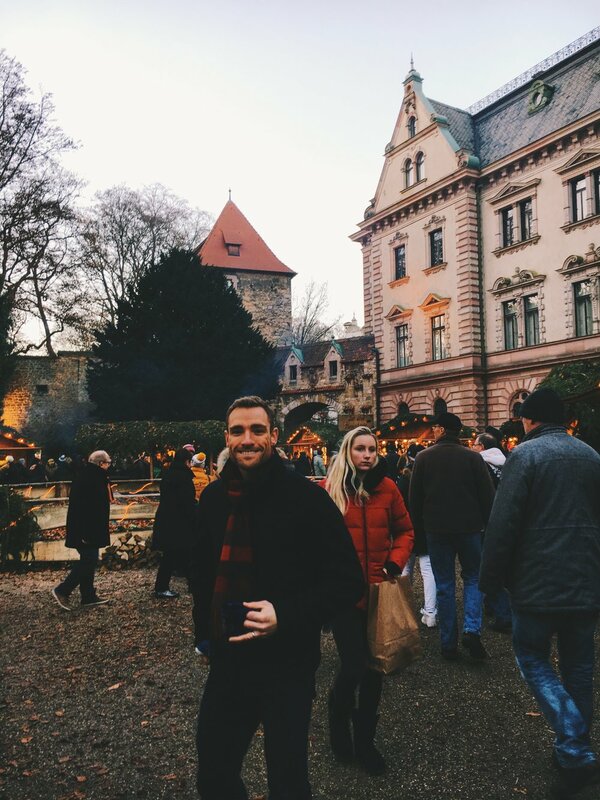 Last year, Andrew and I had only experienced the Nuremberg Christmas market... probably one too many times. 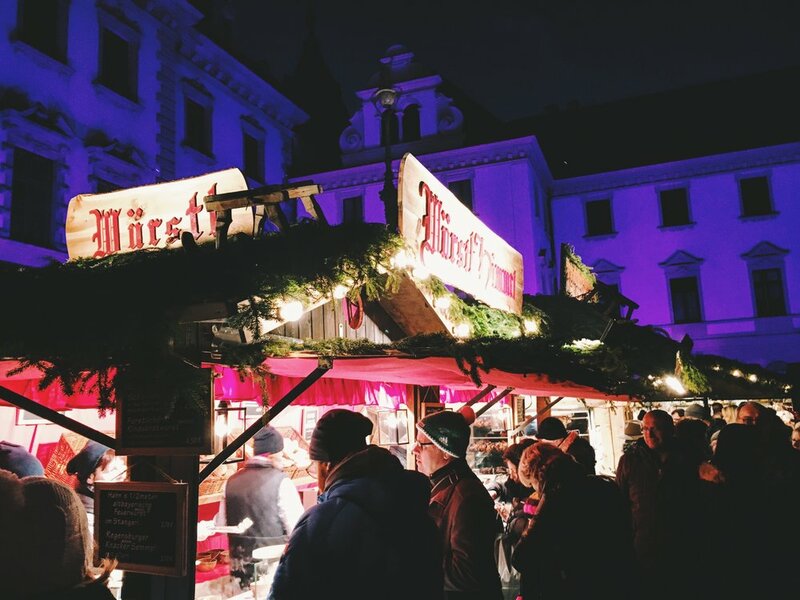 So this year, we wanted to take a little road trip and experience a new Christmas Market. 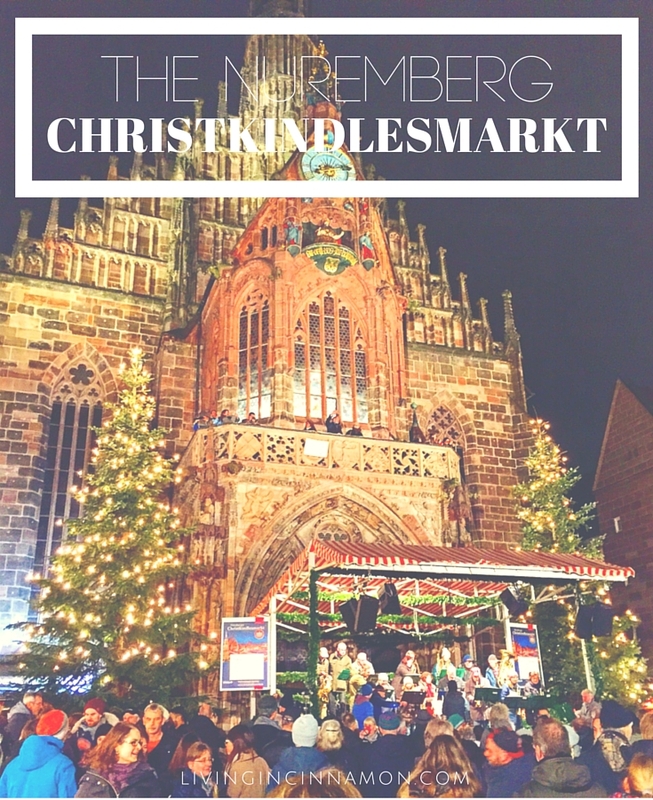 After doing some research (literally typing in google 'best christmas market in germany') I noticed that Regensburg popped up several times. 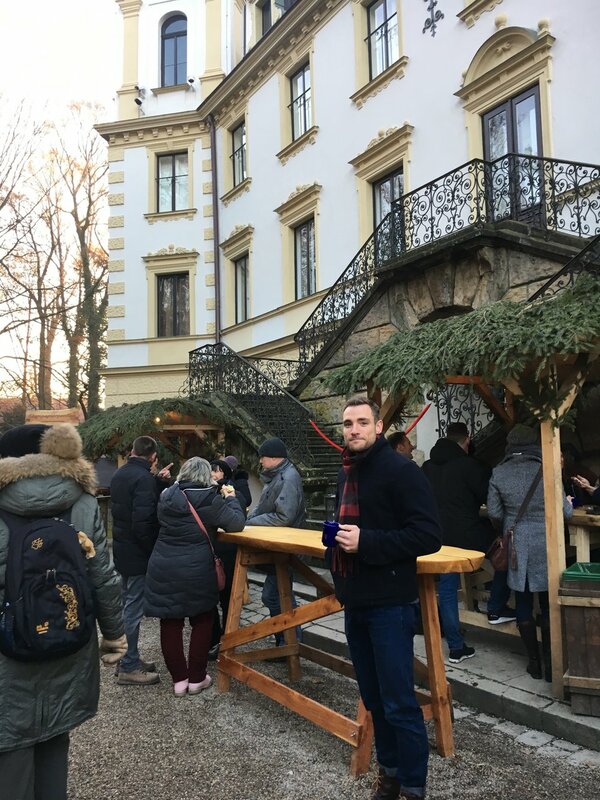 I know that some of the bigger cities (Salzburg, Munich, Vienna) have some unbelievable christmas markets, but we wanted to experience one a bit more quaint. Regensburg is a Bavarian medieval city and hosts a UNESCO World Heritage Site, the St. Emmeran Palace. 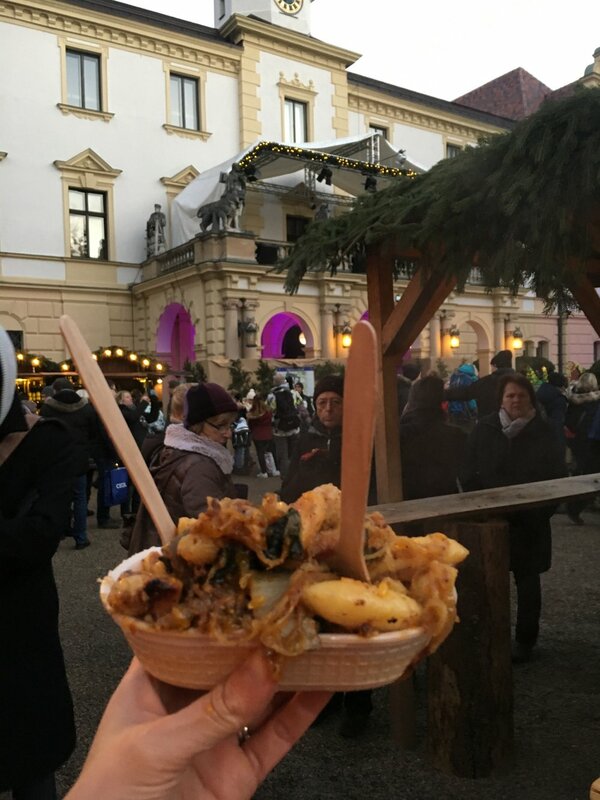 It was the royal residence of the Thurn und Taxis dynasty... and it was also where the christmas market was set around! Christmas Markets have grown to become one of my most favorite things about Germany. There is no 'pre holiday stress' that everyone seems to feel in the US - where everyone spends all of December running from store to store trying to find everyone the perfect gift. 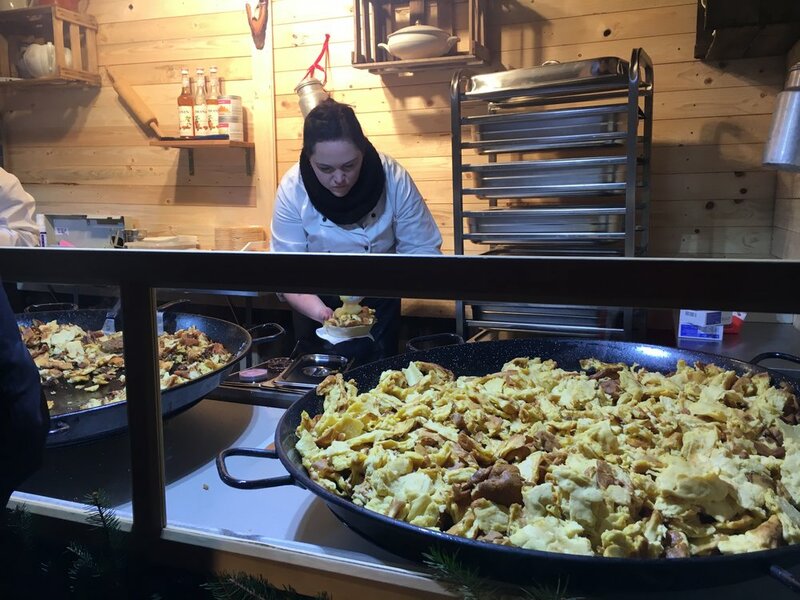 No, in Germany December is spent with a gluwein in hand, strolling through cobblestone streets with family & friends, eating delicious warming foods (probably relating to sausage or cheese), and looking at the stalls with handmade gifts. 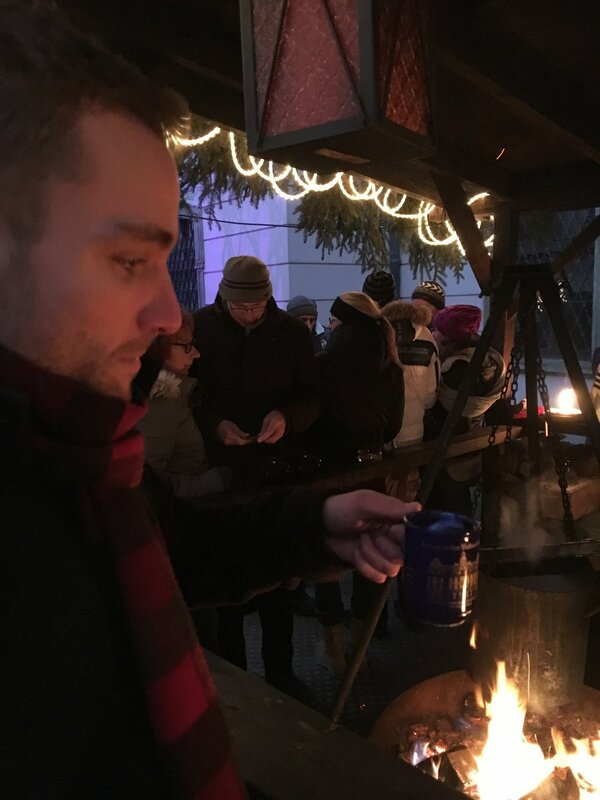 So as I described above, we grabbed our first mug full of gluwein and started strolling through the stalls. How cute are the stalls by the way? All with pine needle roofs.. i am in love! Remember I was talking about that delicious and warming food before? They have some fresh fish being grilled on an open flame..
And then some roasted almonds with cinnamon and sugar. I wish I could describe how amazing the smell was! 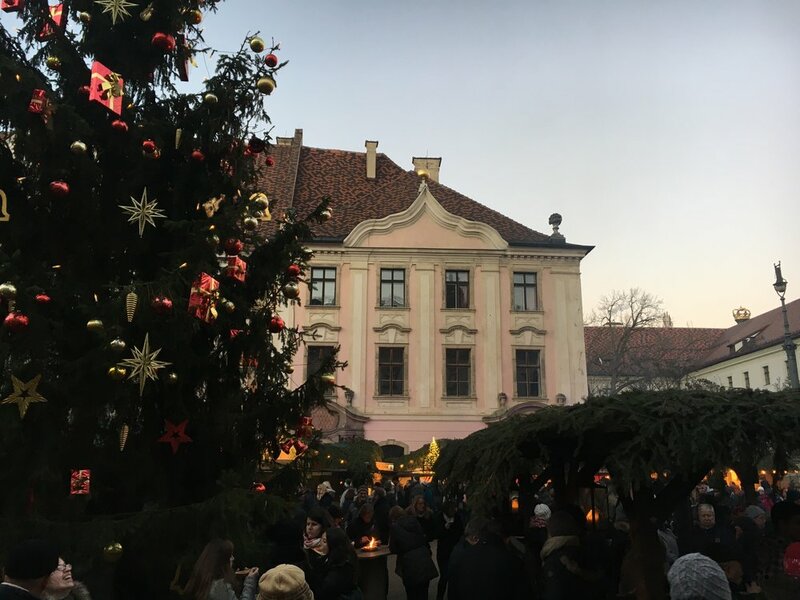 One of the best parts of the Regensburg Christmas Market was that its built around the palace, and then as well inside the courtyard. 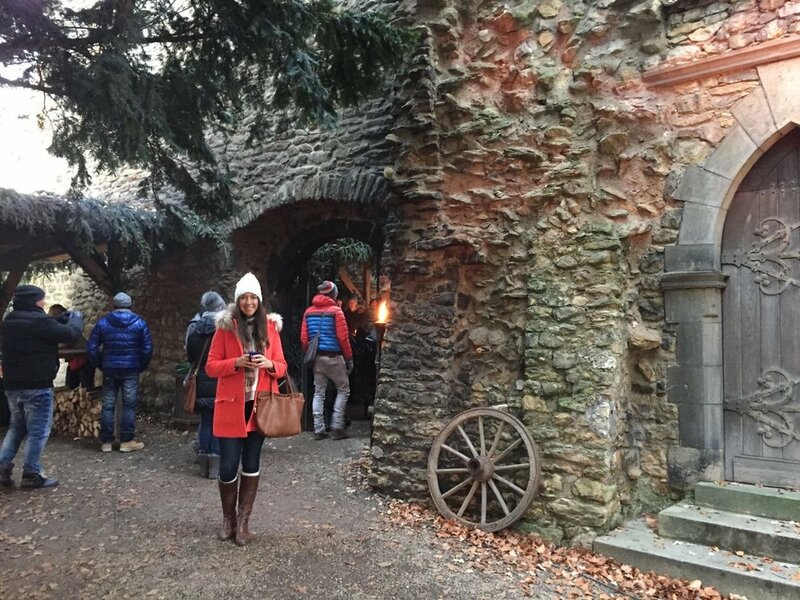 It was so magical to walk through the palace archways into the second portion of the Christmas Market. And just when I thought it couldn't get any better! As you can see, we stopped for a hearty and filling lunch. It was basically a potato gnocci with turkey & vegetables. But they make it in these insanely huge cast iron skillets. After we sufficiently lined our bellies, we got back to the drinking. :) I'll admit, our first instinct was "look at that fire pit... i'm freezing, lets go with those other people and stand around it". And then a man came up to us and said "bitte?" ... basically like a "please? ... what would you like?". Then we realized everyone standing around the fire had mugs in their hand, and over the fire was a huge cast iron pot... which we then learned was filled with alcohol. Well, what were we to do... say no to the nice german man? of course not! 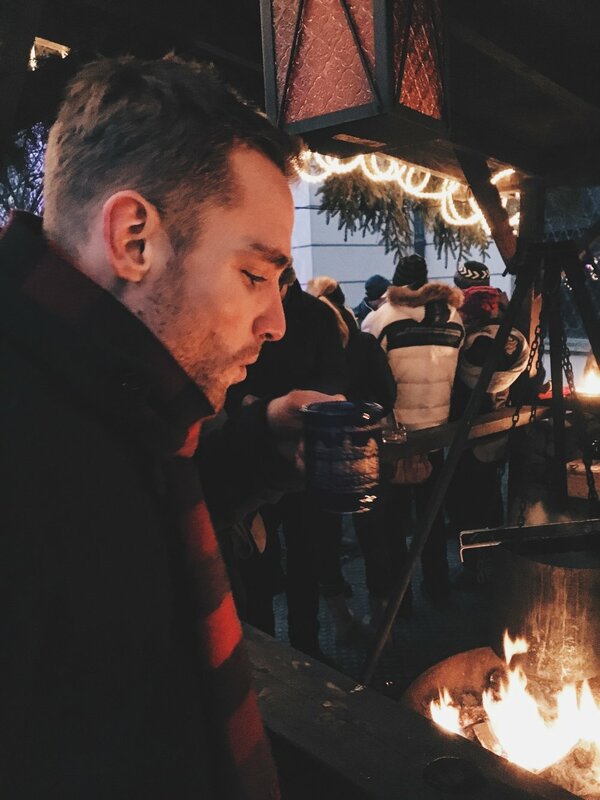 Feuerzangenbowle - a rum soaked sugarloaf that is set on fire drips into mulled wine. And then your mug is topped with even more rum. 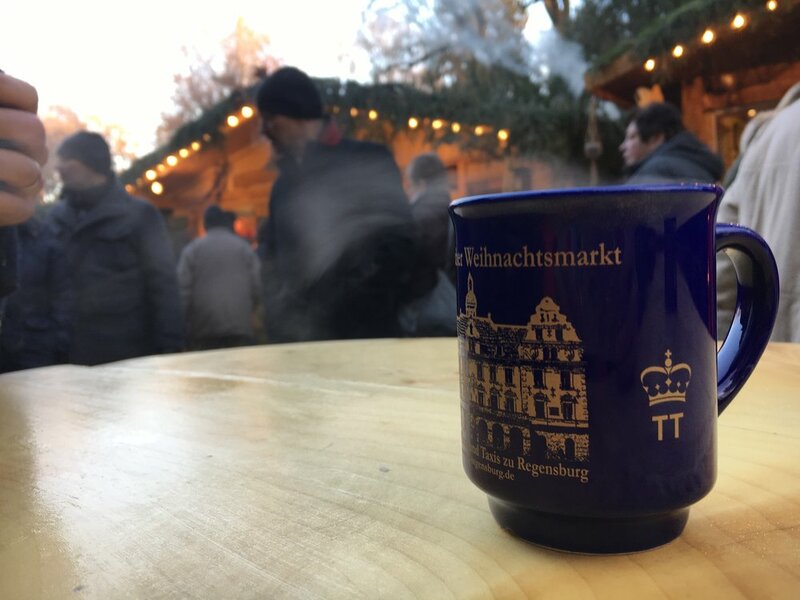 aka... one of the most dangerous drinks you'll find at German Christmas Markets. 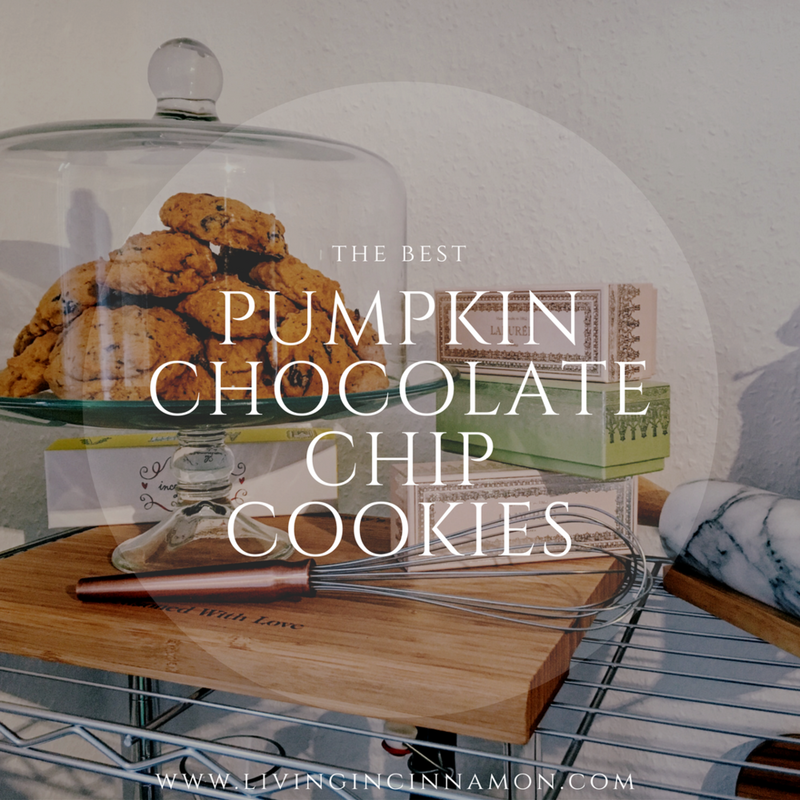 Don't get me wrong, they are DELICIOUS! but they will hit you hard. Everyone was so wonderful and jolly standing around this fire. Naturally - cause they were all warm and drinking mulled wine topped with rum. After some time, the "bartender" pulled out some papers and started reciting something in German. I'm guessing its some sort of a Christmas story?? 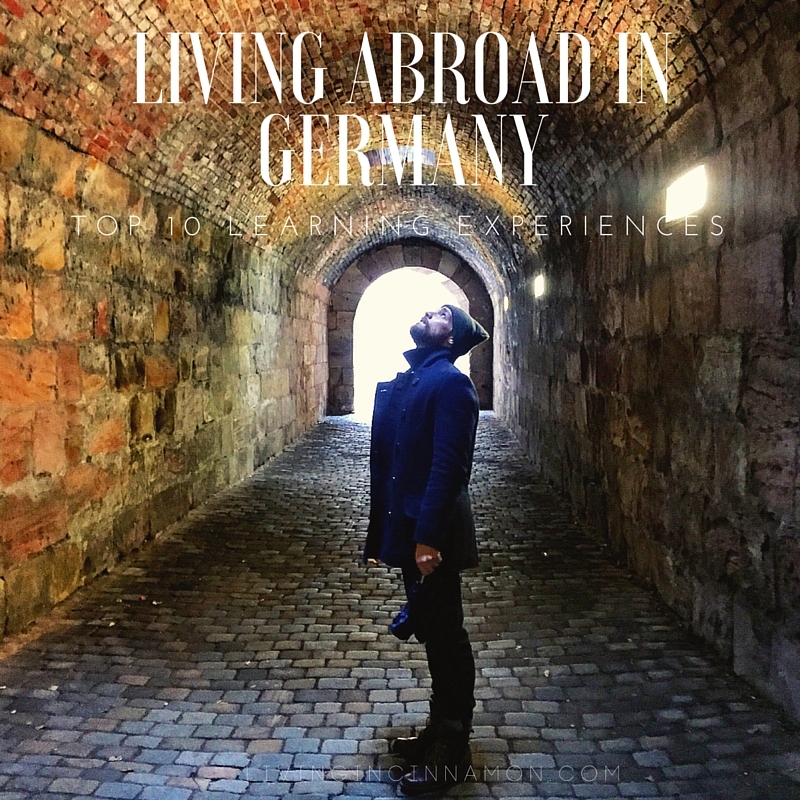 To all my German friends - feel free to let me know in the comments section. It was hard to pull ourselves away from the warm fire and the delicious drinks, but we wanted to keep strolling through the market inside the palace walls. 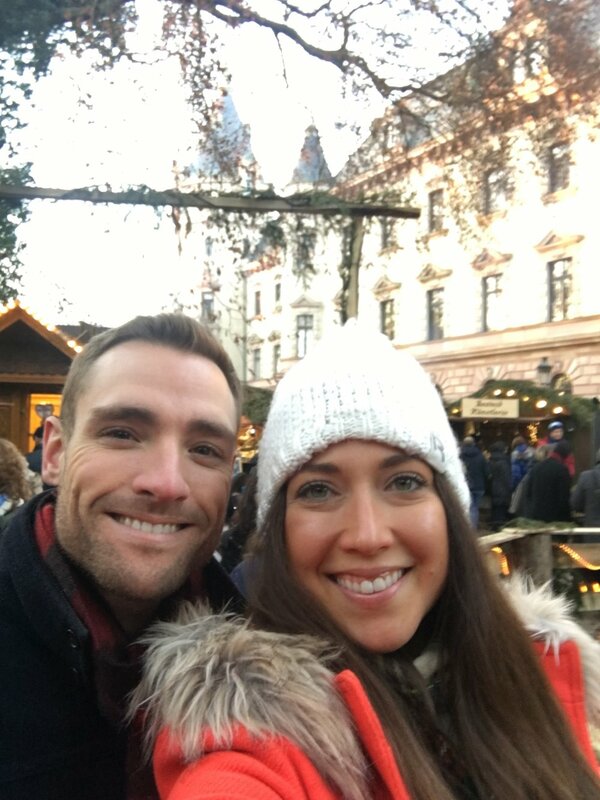 Although Nuremberg is our "home town" Christmas Market, the Romantischer Weihnachtsmarkt in Regensburg is by far my favorite. We got there around 3pm and it was the PERFECT timing. It was nice to have a bit of warm sun to defrost you and all of the lights were still glowing. By the time the sun set it was FREEZING, and there were about double the amount of people. 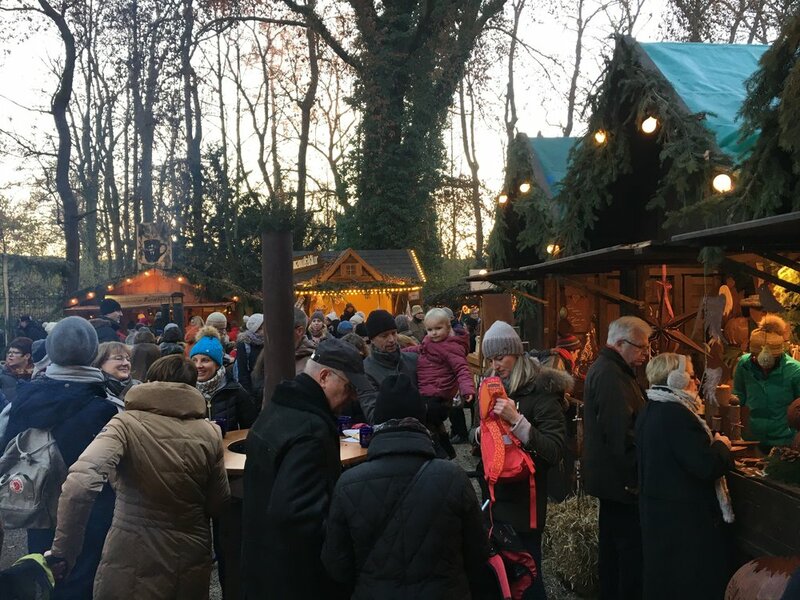 When you buy Gluwein you'll have to pay a Pfand (or deposit) for the mug, about 3 euros, you can usually return it at any of the stalls and you'll get your money back - or you keep the mugs for a keepsake! 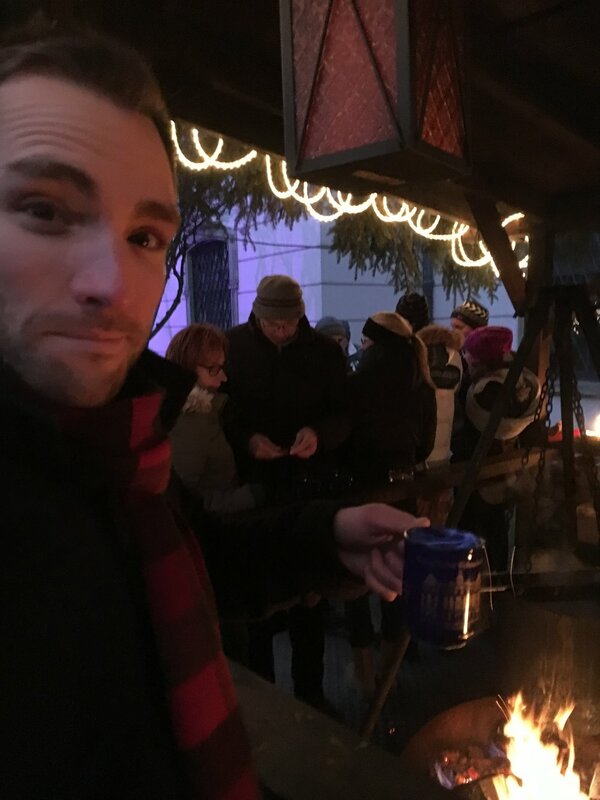 Try the Feuerzangenbowle, but beware - its very strong.